Filipinos are the eighth most positive people in the world, according to a global survey undertaken last year by Gallup Polls. 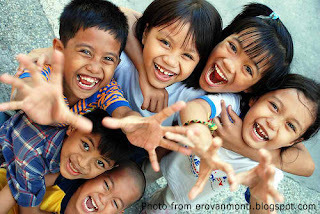 The survey results suggest that 8.2 out of 10 Filipinos experience positive emotions in a day. Panama and Paraguay topped the poll results for positive emotions, with Latin Americans dominating the top 10. Thailand, which yielded a slightly higher result than the Philippines, is the only other country in the top 10 not in Latin America. Did you experience a lot of the following feelings during a lot of the day yesterday? At the bottom end of the list, Singaporeans are the least likely to experience positive emotions in a day with only 4.6 out of 10 people giving positive responses to the questions above. Perhaps not surprisingly, many of the bottom 10 are countries that are coming from internal strife and upheavals. Generally, however, the poll results seem to suggest that peoples of the world seem to be upbeat. Of the questions asked, only the fourth (about learning something interesting) yielded a low (43%) result worldwide. Because none of the top 10 is among the most developed countries in the world, the implication for world leaders is that income does not necessarily translate into well-being. Here are the top and bottom 10 lists.